The best way to plan your trip is to do research. Before I went to Europe I read books, travel magazines, websites, and watched all those movies that at the time I had said “oh I want to see that someday!” Go to your local library to get awesome books on travel to start your personal vacation planner. I know, who goes to a library anymore, but hey it’s free! Once you’ve done that, compile a list of the places you want to go. Depending on how much time you have, and how well spaced out everything this, will decide how much you can accomplish. I Googled every place I wanted to visit and created a Google Drive Document to keep track of it all. Below is an example of what I did for each place. It was first separated by location, picture, name, hours open, cost, address, and finally how to get there. This became my vacation planner or travel itinerary maker. How to get there was an important piece since I wasn’t renting a car. If you do decide to rent a car, make sure you can. I knew a lady who did in Ireland and she said you had to have an international license. What I did next was create a Google My Maps of all the places, in the main cities, I was visiting. You can save this map, print it, and bring it with you on your trip. It came in very handy, as well as my Google Drive Doc as well. Downloading their app is also an option. I still plan all my trips this way, it is literally the best way to plan your trip. 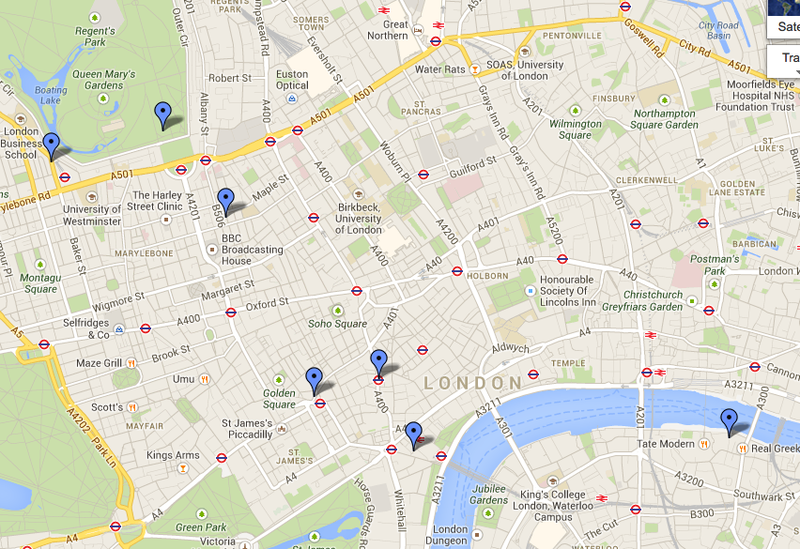 My map of my London locations is below, click it to make it bigger. This will help you to plan our your days and figure out about how much time it will take to get from place to place. I marked up my map with numbers, corresponding to my Google Doc so that I knew which location was which. Now, for the locations outside of the cities, I would Google how to get there. Hampton Court Palace is relatively close to London, where I was staying, so it was an easy day trip. Warwick Castle however, was a lot farther, and when I looked up how much it would cost to take a train there I decided it wasn’t worth it. Doing this will save you time and money, you don’t want to go to buy a ticket and be shocked at how much it’s costing you. Especially, when you can be doing something else.